The orange and black model numbers 125SX, 150SX, 250XC-W, and 300XC-W 2009 KTM off road motorcycle have been recalled by the manufacturer in conjunction with The Consumer Product Safety Commission. The reason for the recall is because of a defect that has been uncovered by the manufacturer. The concern is over a possible dislodging of the front fork inner tube from the fork axle. The front fork inner tube may crack as well. A front fork inner tube crack or dislodge may cause serious injury or death to the driver and passengers of the affected KTM Off Road Motorcycles. Motorcycle accidents can be some of the most serious types of accidents. Victims of motorcycle accidents may suffer from brain damage, paralysis, burn injuries, broken bones, bodily cuts and road rash. When a defective product is the cause for a motorcycle accident, the manufacturer is liable for the injuries sustained and the financial implications surrounding the accident. These financial implications include: medical expenses, lost wages, pain and suffering, loss of lifestyle, and loss of quality life in marriage. Owners of the affected motorcycles are advised to immediately refrain from using the bike. Owners may contact KTM at (888) 985-6090 to schedule a free repair. Furthermore, it is important for people that own motorcycles to proceed with regular maintenance and check ups for their vehicles. Thousands of people are injured and die because of motorcycle accidents each year. Many of these injuries are caused by defective parts on motorcycles. If you or a loved one has been injured because of a suspected defect in a motorcycle, contact Burton Padove. Burton Padove has resources available to him that can help to establish the validity of defective product claims. Also, feel free to contact Burton Padove about any type of motorcycle or auto accident. 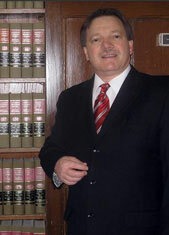 Burton Padove has been defending the legal rights of motorcycle and auto accident victims for nearly thirty years. He can be reached at 219-836-2200 or 877-446-5294 for nationwide callers.